Cyber criminals today are attempting to penetrate your organisation’s network to try to get hold of critical assets with most looking for the valuable personal identifiable information (PII). It is a fact that cybersecurity attacks are on the rise all over the world, and the Arab world is no exception. There are even some recent reports stating that the Arab countries are among the ones facing the highest number of attacks. 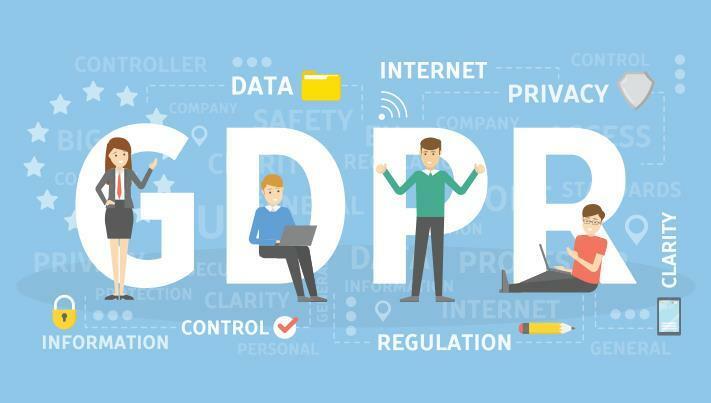 Meanwhile in EU, GDPR was launched back in May 2018 to create a new benchmark for personal data protection, and its influence was felt far and wide. It is now the template for privacy laws throughout the world. So how can organizations in the Middle East create a framework to ensure attacks are dealt with in a GDPR-aware manner, minimising fines, reducing breach-related costs, and ultimately better protecting the personally identifiable information? Rabih Itani is the regional business development manager for Aruba security solutions across Middle East and Turkey at Aruba, a Hewlett Packard Enterprise Company. In this role he works closely with Aruba channel, customers and alliances and across almost all industry verticals including education, healthcare, government, financial services, and banking to design networks that are immune and responsive to internal threats. Rabih is an ICT and Telecom industry veteran with more than 25 years of experience. Rabih joined Aruba in 2012 carrying the mix of a multi-discipline engineer who enjoys a profound understanding of technology and has deep business analysis of the industry trends, markets, business drivers, and business models.